Do you like butter? Like, REALLY like butter? Do you even know? Do you KNOW how good butter can make something? 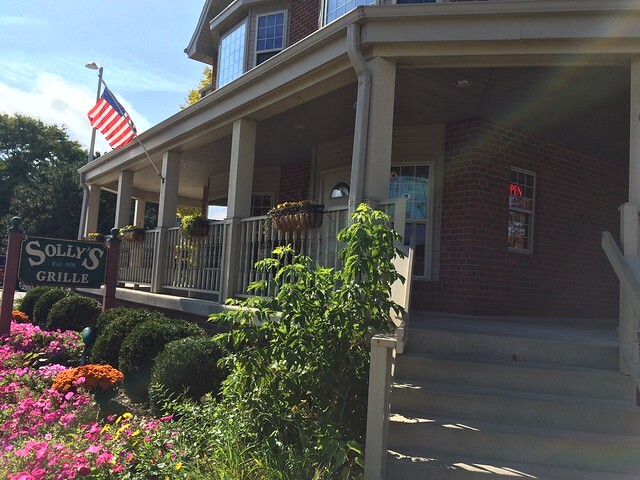 Solly's Grille has their original burger, which is juicy sirloin, Wisconsin butter and stewed onions. You make it a cheeseburger too, which, duh. I needed one, which I ordered at the old-school U-shaped counter. 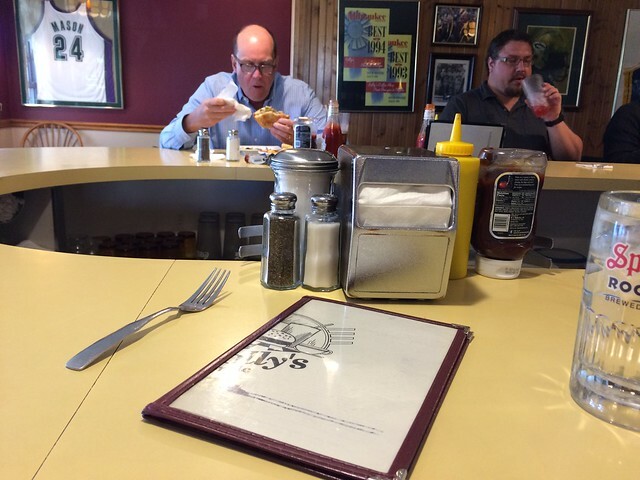 The waitress could walk through the center, filling water glasses and shelling out dishes full of butter burgers - when and how often they choose. It didn't take long for my burger, sitting in a pool of its own butter juices, to come out. 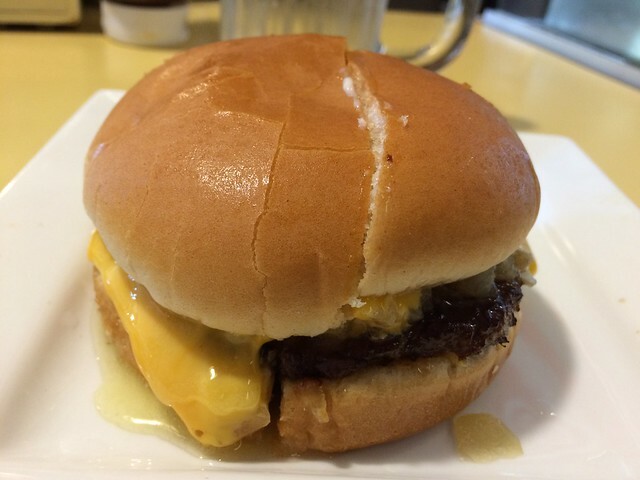 There was a thick layer of butter inside the top bun that quickly melted down into the meat and to the bottom bun. That makes for a very rich, moist burger. My tastebuds were all "whoa! Everything is tasty! Butter makes everything better" and then my heart went "wait, wait, what what are you doing - that's a burger drenched in butter." My solution was to gobble up the rest of the burger before I could think about it too much - much to my tastebuds' delight. 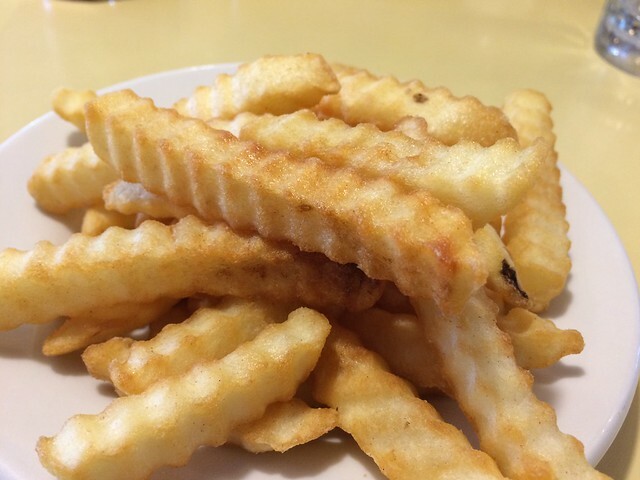 The fries were thick, crinkle-cut that offered a nice crisp texture change. This is something you just have to try. A butter burger - who knew?